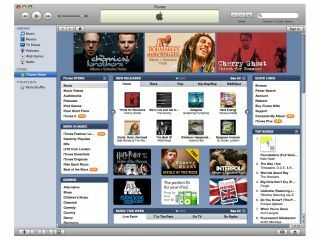 Is Nokia to open iTunes challenger? Is Nokia about to take on Apple's iTunes Store in the same way as the Apple iPhone has invaded Nokia's mobile phone patch? Nokia could be about to challenge Apple's iTunes Store by opening its own online music service, just a month after Apple invaded Nokia's patch by launching the Apple iPhone . Nokia, the world's biggest handset maker, is launching its own online music service at a London event on 29 August, Fortune Magazine has reported. The new Nokia music service will let you download songs to your computer and transfer them to mobile phones and other portable music players, just as Apple's iTunes Store . Nokia is expected to let its users transfer songs to non-Nokia phones using digital-rights-management software. No info on what record labels or artists may have been signed up to the Nokia service has been given at this stage. Around a million songs will be offered at the autumn launch, and it is likely the download service will also include digital games. Nokia would neither confirm nor deny the launch. Spokesman Kari Tuutti told Fortune Magazine he "could not comment" on what the company will announce. New music handsets are also likely to be on their way. Tech.co.uk is obviously on the guest list for the Nokia event on 29 August and will of course report on any announcements. Nokia's CEO, Olli-Pekka Kallasvuo, will be present at the all-day launch event in Central London, with an evening bash scheduled for the Ministry of Sound nightclub.